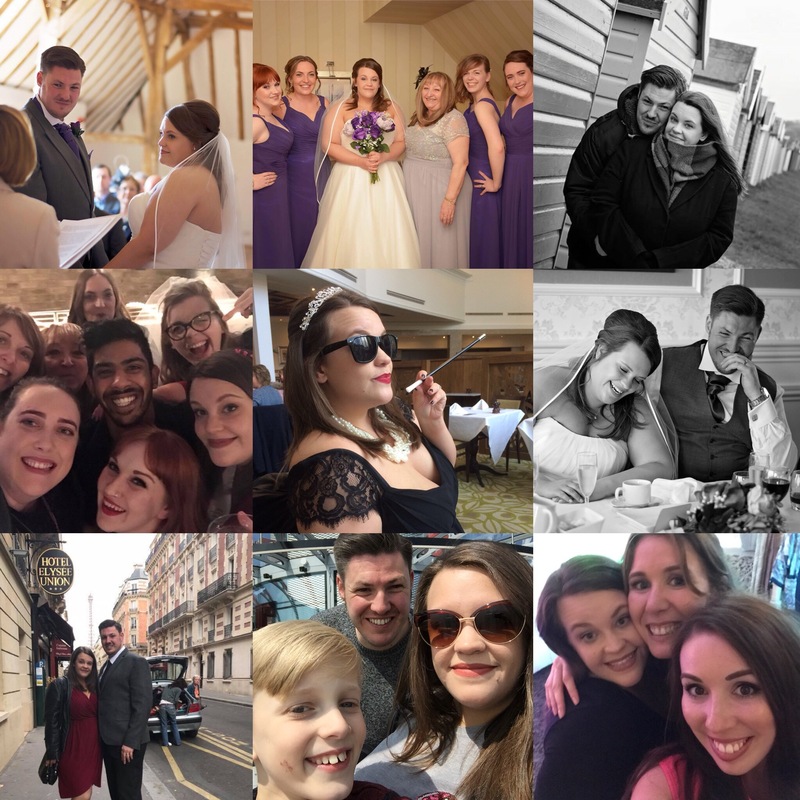 As we still remain in the first week of January and also inspired by my lovely friend Emily (check out her blog here) I thought I would do a little reflecting on 2017. I’m that person who likes to make new year’s resolution each year and like most, often feel a failure at not keeping them. Although I didn’t keep my resolutions, I think it is important to look back on all the great things I have achieved. Using a Pinterest link Emily shared in her blog post (here), I have answered a few reflected questions below to document my 2017…. What is something I did last year that I think I will remember for the rest of my life? – I got married and became Mrs Tremlin! It was honestly the best day ever and even more lovely to celebrate with all of our family and friends. When it comes to weddings, I was never that girl who had the whole day planned from the age of 5. Getting married was never very high in my life goals, but finding the man of my dreams and wanting to spend the rest of my life with him, it felt amazing to get married and now finally call him my husband! What was the most challenging part of last year for me? This year I made the decision to leave my role in Brighton and go back to working in London. If anyone that has read my blog previously, you know that I worked in London before but wasn’t keen on the long commute so therefore made the move to work closer to home in Brighton. Turns out for me that the grass wasn’t greener on the other side. Although it was great living that bit closer to home and getting back of an evening at 6ish, I really wasn’t enjoying the role as much as my job in London. I therefore made the challenging decision to find a job back in London and do you know what – it was also the best decision I made in 2017! If I could give anyone some advice for 2018 it is to listen to your heart. If something doesn’t feel right or is making you unhappy, there is a reason for it…it means it might be time a change. Of the books I read last year, which was my favourite and why? Hands down it was Ice-cream for Breakfast by Laura Jane Williams. I ended up listening to this on audiobook but I loved it that much that I went out and also brought a copy of the book as I know it will be a book I will want to read again and again throughout life! It is a non-fiction book based on Laura’s experience of taking step back from her successful career to become a nanny. Through her time with looking after children, she discovers the surprising art of reconnecting with your inner child to make adult life that bit simpler. It offers a new way of thinking about things, for example – would you expect your child to go to school and pass their exams if they hadn’t had enough sleep and stayed up all night…? No! Then why do we think of sleep as a luxury, prioritising work deadlines in favour of getting a restful night sleep? If we don’t have enough sleep and look after ourselves, how do we expect to be great at our job. I would definitely recommend giving this book a read this year if your new year’s resolution is to start looking after yourself more! What could I have done to make last year better? Look after myself more! Making a few big decisions (changing jobs) and reading inspirational books (like Ice-Cream for Breakfast), I definitely began to looking out more for myself towards the end of the year, rather than quite honestly having others walk all over me. Going forward however, I know there could have been more I could have done to look after myself . For instance, I definitely could of looked after my health that bit more. My diet was wasn’t great towards the last half the year and in return I have put on weight, my skin has been bad and all the other things which comes from not looking after what you are putting in your body – which is something I want to change this year! What are my most important goals for this year? As you can predict from my last answer, improving my health is first on my goals list. My other goals including; writing more – keeping up with blog more and also writing a journal. Often my head is spinning by the time I go to bed with thoughts rolling around in my head but I’m hoping in writing my thoughts down it will give me a clear mind. I also want to read more – with my new commute back and forth to London I have more time to read and I love it. So much so, I’ve treated myself to kindle so aiming to read at least one book a month. And my final goal is to be more organised – the same one I make every year! This year however I’ve started a bullet journal so hoping it will help organise everything from my diary to my expenses. Fingers crossed! Have you taken the chance to reflect on 2017? What are your 2018 goals? « Do you really have oily skin?? This was a great post idea! You look so beautiful in those wedding pictures 🙂 I have a couple goals in 2018 that I want to achieve, I am putting up the post later tonight if you want to check it out!